The Indian Ocean is a strategically important yet volatile region, closely intertwined with ASEAN’s economic and strategic prospects. Both ASEAN and its member states need to step up engagement in the Indian Ocean Region to avoid being marginalised in future strategic affairs and economic initiatives. Common interests and common threats abound, especially within the maritime realm, and greater cross-regional cooperation is a timely necessity. 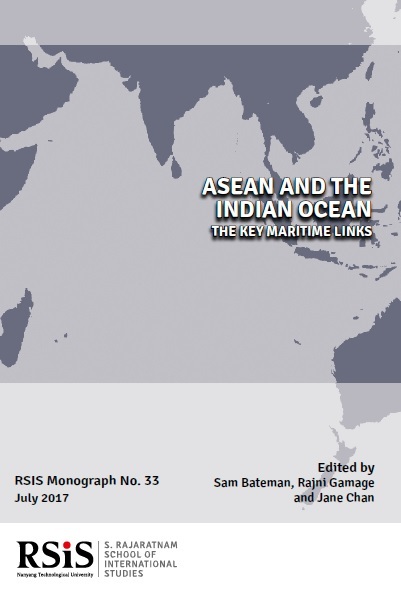 This volume is a collection of short essays on the key dynamics and developments within the Indian Ocean Region maritime domain and their implications for ASEAN states. It provides a set of focused objectives and practical avenues for promoting linkages between ASEAN and the Indian Ocean Region, which, it is hoped, will lead towards a shared vision of maritime security and prosperity.